This entry was posted on 8 February 2015 at 12:03 am and is filed under 1929. You can follow any responses to this entry through the RSS 2.0 feed. You can skip to the end and leave a response. Pinging is currently not allowed. My best guess is that it was not, for two reasons. From 1928-1930 he was deep in levee reconstruction projects in Mississippi as Kaiser Paving Company of Washington. 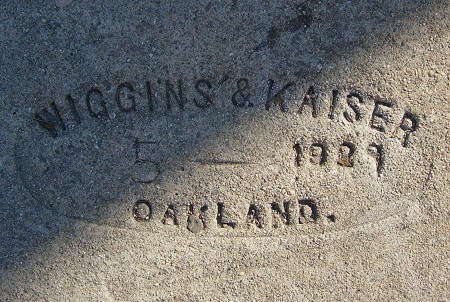 And generally, sidewalks (unless they are part of huge projects, such as WPA) are the turf of smaller companies that even Kaiser at the time.